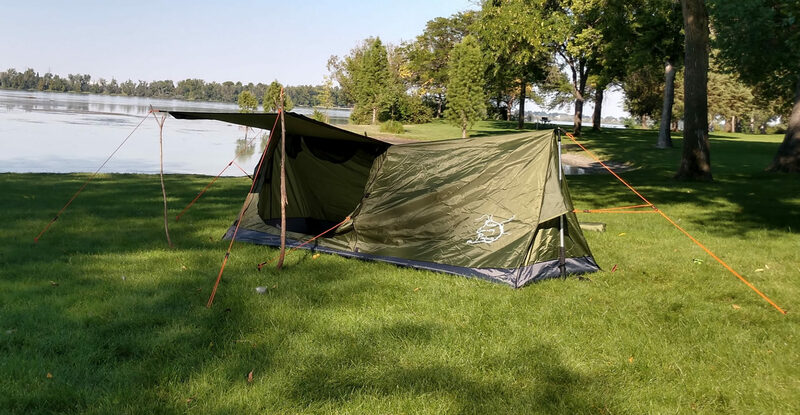 Home / Backpacking and Camping Blog / Trekker Tent 1A, our lightest one person trekking pole tent. Trekker Tent 1A, our lightest one person trekking pole tent. We are excited to announce our lightest tent yet. 2 lbs and 7.5 feet long so you can fit with your gear, includes an awning. On sale for the next 3 days, just $19.95. For this reduced price we would really like your feedback on this new tent. Previous post: Tips and Tricks for reducing tent condensation.